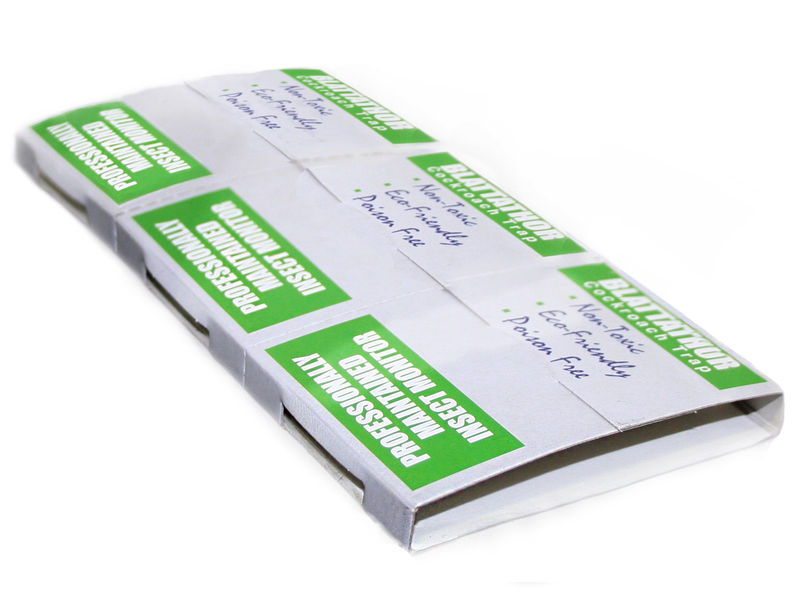 This attractive, disposable cardboard trap has a low profile making it easy to place in a variety of situations. 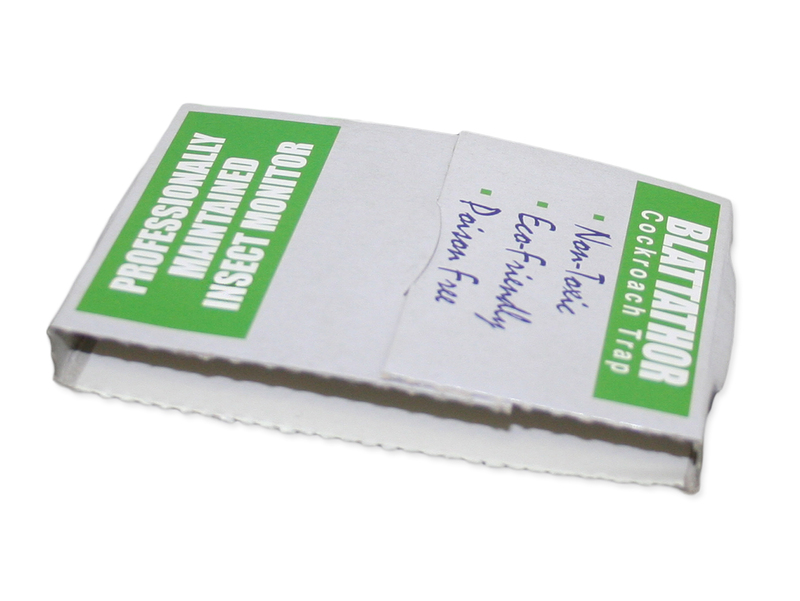 Each BLATTATHOR Cockroach Trap is versatile and can be used as either a single large trap, in areas of higher infestation; or it can be separated to form three small monitor traps, allowing you the opportunity to make more placements, which is particularly useful when monitoring to determine the effectiveness of your control program. Ensystex spent a great deal of time researching cockroach behaviour and optimising the perfect blend of cockroach attractants to ensure premium results. We have then bench-marked trap to ensure it is the best performing lure trap on the market. This has resulted from improvements to both the glue and the attractants used. Cockroach behavioural studies by researchers such as Durier and Rivault at Université de Rennes, Professor Raubenheimer from the University of Sydney, SA Jones from Oxford University and Appel and Rust at the University of California, Riverside have revealed a great deal about cockroach feeding and foraging behaviour. This knowledge has been developed into the latest versions of this product to provide outstanding performance characteristics. The attractants are incorporated into the glue, which better suits the requirements of HACCP as there is no separate attractant tablet. However, the release technology and attractants used ensures they keep attracting cockroaches and stored product insects for a good three months or more. The glue board will catch and retain nymphs and adults of all important cockroach pest species, including Periplaneta species.